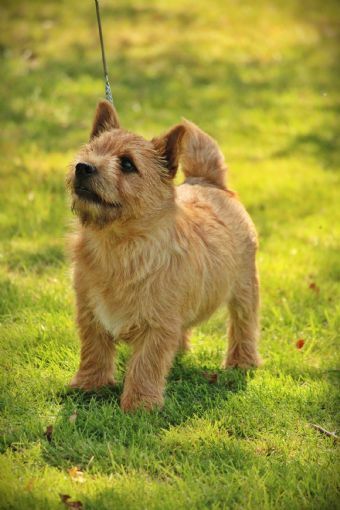 Riff Raff is a strongly made puppy with excellent bone and easy movement. His "take it as it comes" temperament makes him a pleasure to have around, and a breeze to show, even for complete strangers. Beaten until then by his live-wire go getter litter sister, "Dammit" Janet (Norwester Burn Time), Riff Raff came into his own at the Nelson District KA show on the 26th January, going BPIG under John Perfect, then BPIS under Mrs H. Gouws of Sth Africa. The next day he was BPIG, going BOB both days in an entry of 5. At Ashburton Riff Raff was Baby in Breed on the first day, beating three other dog baby puppies as well as his sister, who was Baby of Breed as well as Best of Breed (9 entered) on the second day. Riff Raff's first litter, from CH Norwester Golden Acorn, has been very successful, with daughters Aust CH N. Made Ya Look and CH N. Heart of Oak leading the breed on their sides of the Tasman in all 3 pointscore categories. 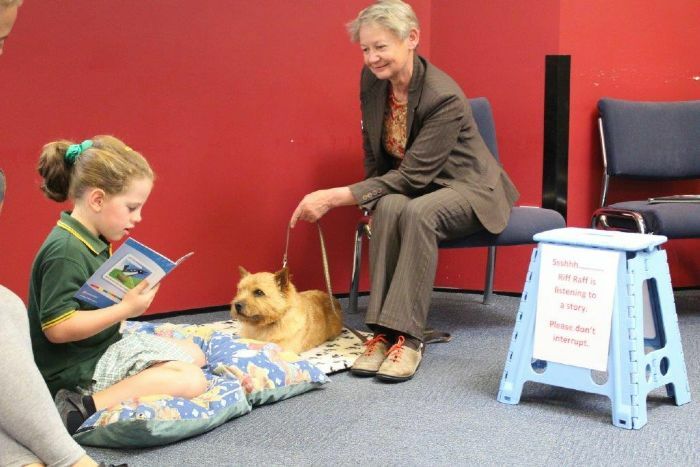 Riff Raff has a new career in retirement, as a Reading Assistance Dog at the local library (pictured). His calm nature makes him perfect in this role, as many of his young readers are nervous of dogs, and he gives them confidence around dogs as well as in reading.